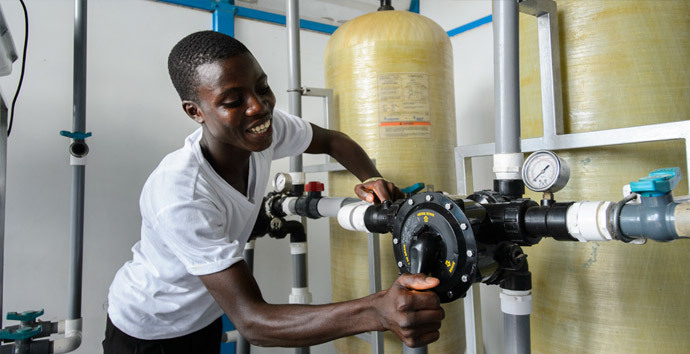 BGI and Safe Water Network have joined forces to bring safe, sustainable and locally-owned water infrastructure to Ghana. The goal of this initiative is to produce a sustainable system and network that dramatically improves health and livelihoods within the community, and can be broadly replicated across Ghana, Sub-Saharan Africa and beyond. 80% of all disease in Ghana is caused by unsafe water. 3,000 children die annually from water-related illness. Despite millions of dollars spent addressing Ghana’s water crisis, nearly half of all rural water systems are inoperable. Stable government, infrastructure, and active commercial and public sector with a conducive enabling environment.